I've built up a project on my Arduino Uno to control various aspects of my beer brewing system. At this point it seems to be doing what I want, but I would like to reuse my Uno for another project. How should I move my project from the Uno and breadboard to a PCB, perfboard, or whatever? Any good solutions out there? Here are some instructions. If you just want to know what goes where in your perfboard, read on. Firstly, you'll need a LM7805 or something similar to get a 5V. If you don't know how these work, refer to this image. Now, connect the + end of your 12V battery to the IN of 7805, and - to the COM. Hereafter, I shall refer to any connection from COM as "GND" and any connection from OUT as "Vcc". Connect Vcc to Pin 7 and 20 of the ATmega328, and GND to pin 8 and 22. Connect Vcc to a ~10 kiloohm resistor, and connect the other end of that to the RST pin (pin 1). Also, connect GND to a reset switch, and the other terminal of the reset switch to pin 1. When the reset switch is on, the Arduino will restart. If you don't want a reset switch, just connect Vcc directly to pin 1. Connect GND to the negative terminals of two 22 picofarad capacitors. Connect one capacitor to pin 9, and the other capacitor to pin 10. If you use the AREF pin, just connect your AREF to pin 21. If your Arduino is a DIP Arduino (the ATmega is removable), then just program it using the IDE, remove the ATmega, and place it in your perfboard circuit (I assume you're using an IC holder). 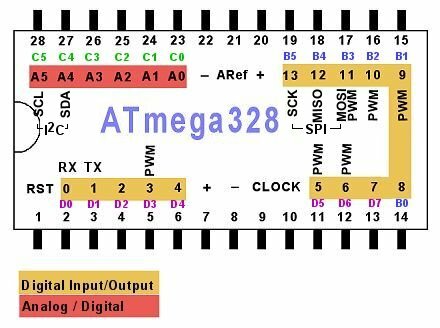 If the Arduino has a surface mount ATmega, see How can I use my SMD Arduino to program a separate DIP ATmega328?. That's it! Now you can easily take an Arduino project to a perfboard! Your project sounds like what many people would call for a shield to handle. In that case, I would buy an inexpensive variant arduino clone and replace it for the Uno. It really depends on what functionality you need. If you do need USB serial monitoring, seeed studio has a couple models that seem perfectly adequate and have a mini USB jack. Varying slightly, the teensy boards are small and cheap. If you don't need USB serial monitoring, you can use a clone that only has an ttl/FTDI interface. The digistump digispark is very small, very cheap. The emsl diavolino is great, as is the modern device BBB. Arduino Compatible Protoshield Prototyping Shield ... but of course cheaper alternatives can be found. Depends on what kind of circuit conveniences you need for your design... power and ground rails, leads for chip pins, etc. You can download and use Express PCB to design the printed circuit board. The software is free and they provide a service where they will manufacture the board for you. For a single board though, that will be pricey. Alternatively you can print the design (directly from that software) to a laser printer and then there are ways you can use the laser printed diagram to etch a PCB yourself. Here's one YouTube video that shows you how to do that. 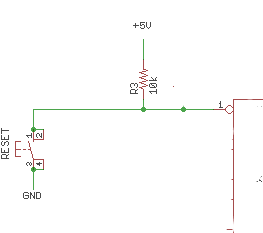 How can I use my SMD Arduino to program a separate DIP ATmega328? How should I power my permanentified project? How should one switch from using an Arduino as a programmer to an external programmer? How do I transition from using the Arduino IDE to plain avrdude/make? For a seasoned programmer Arduino or something else? How do I create a timer interrupt with Arduino? 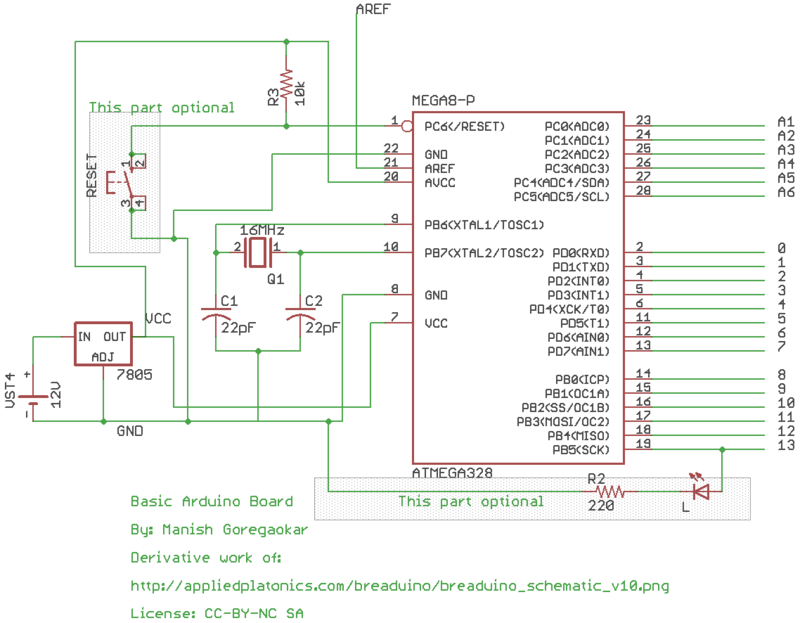 Going from Breadboard to PERMANENT circuit but have Arduino shields attached?